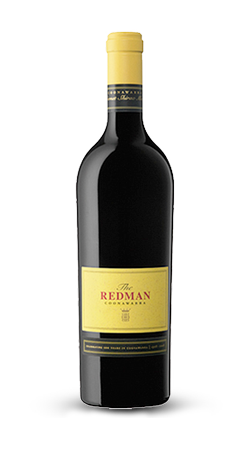 The Redman represents the finest fruit grown on the Redman family’s 40-year-old vineyards in the heart of Coonawarra. Each year we earmark the very best parcels of wine to blend together to produce just eight hogsheads (2400L) of this flagship wine. The grapes were picked and fermented in static stainless and open concrete fermenters for seven days then half the wine was run off skins and transferred to new French oak hogsheads. After completion of fermentation in these barrels, the wine was racked off lees, the barrels rinsed and the wine returned. The remainder of the wine was transferred to two- and three-year-old French oak hogsheads after malolactic fermentation was complete. In November 2008, we rigorously selected the very best Cabernet Sauvignon, Merlot and Shiraz wines, which were then judiciously blended and transferred back into oak. The wine spent a further nine months in oak prior to being bottled in August 2009. The wine has been further matured in bottle prior to being released for sale. Only 200 dozen bottles of our flagship wine are produced. Bouquet: aged characters of tobacco, cigar box, leather and earth. Palate: fine structure, with soft tannin and acid backbone with intense fruit characters and hints of mint. The flavours persist into the long dry finish.